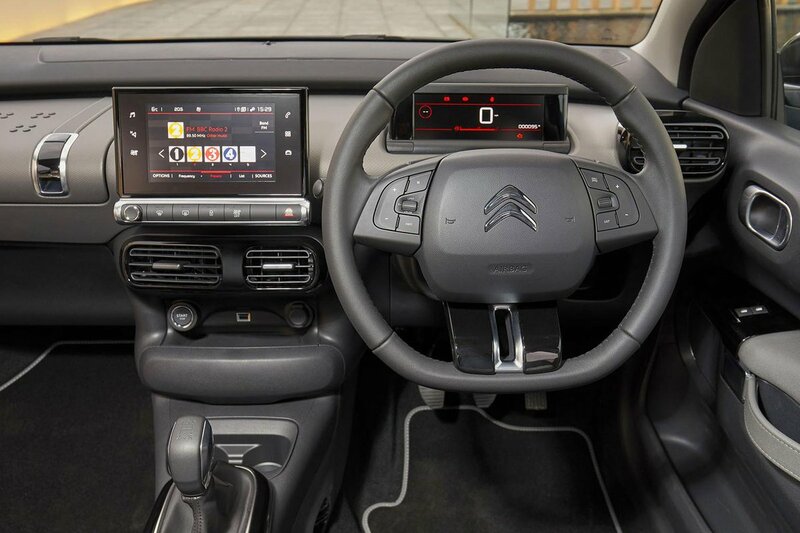 Citroën C4 Cactus Interior, Sat Nav, Dashboard | What Car? The C4 Cactus requires you to acclimatise to its rather unusual driving position. Like most of its rivals, it has both height and reach adjustment for the steering wheel and lumbar support as standard. However, you sit very low in the pillow-soft ‘Advanced Comfort’ seats, with your thighs in an elevated position, due to the angle of the seat base. Imagine trying to drive while sitting on your couch and you get the picture. While the majority of the controls are conventionally placed and easy to access, all of the heating and ventilation controls are confined to the touchscreen display. This makes them hard to access on the move and can be distracting as a result. The steering wheel-mounted controls for the stereo, cruise control and speed limiter functions do work well, however. Forward visibility is acceptable, although depending on your seating position you may find some of your view partially blocked by the front and side pillars. If you have your seat set far back, for example, you’ll sit almost parallel to the central pillar, creating a bit of a blindspot. Despite the fairly small rear windows, rearward visibility is adequate. The large rear pillars also create relatively big blindspots, but the side mirrors (while small) give a decent view of what’s behind you. Flagship Flair models have a reversing camera and rear parking sensors as standard, and you can add front parking sensors. Opt for an entry-level Feel version and you get rear parking sensors with the option of a rear-view camera for a reasonable price. You can’t have front parking sensors on Feel models, though. 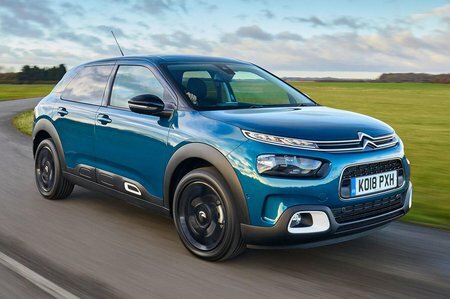 Whichever C4 Cactus you go for, you’ll get a smart-looking 7.0in touchscreen system that includes a DAB radio, Bluetooth connectivity and Android Auto, Apple CarPlay and MirrorLink smartphone mirroring. It’s easy to use, but it isn’t the most response set-up we’ve come across. In particular, the buttons on the surrounding black bezel can require a few prods before they respond, making the system tricky to use if you simply want to change the display while driving. As well as media and heating functions, the touchscreen also offers trip computer readouts and neat functions such as an integrated calculator. Top-of-the-range Flair models feature sat-nav and Citroën’s Connect Box assistance system. The sat-nav is decent, with a clear display and sensible instructions. You can opt for this upgrade on the Feel trim; we’d recommend it because it’s not particularly expensive. 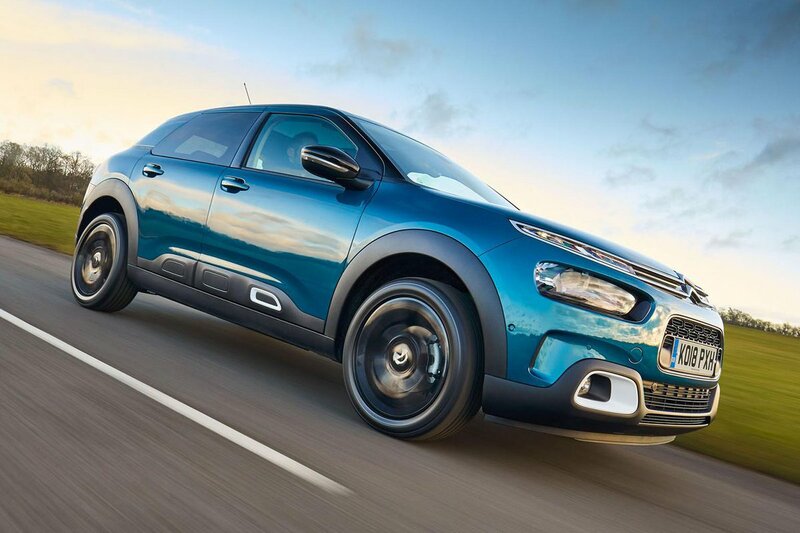 Compared with similarly priced hatchbacks, the C4 Cactus feels a little cheap in places. While the dashboard is trimmed with a soft, squidgy material, the door armrests have thick padding and there are harder, scratchier plastics on the tops of the doors and below the touchscreen. Some neat attention to detail does help lift the ambience, though. There’s a top-opening glovebox with faux-leather straps, more faux-leather straps for door pulls and a few splashes of chrome-effect trim. The switchgear isn’t the most positive around, but it feels pretty solid, and there are few rattles or creaks from the interior – even when driving on rougher roads.